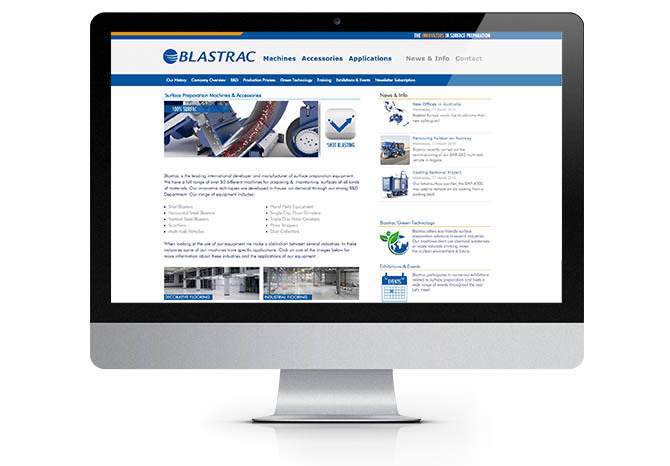 At this moment you are reading this news item on our new European Blastrac website! Our new website is cleaner, faster and is more user-friendly but our main goal with this new website is that we're able to provide you with a better overview of our equipment, more application information and more relevant and useful news items for you as a professional surface prep company. Up to now, only our European website has been updated, but all the websites for our Sales & Service Centres will follow shortly. In the meantime, make sure you visit our new website and discover our new pages and a wealth of other new information.